The CompTIA CDIA+ certified professional is someone who provides document imaging solutions. The professionals play an active role in planning, designing, and specifying a document imaging and management system. The CompTIA CDIA+ professional should have a proper understanding of project timeline and security needs such as access and document security. The certified experts will recognize the integration requirements and will give appropriate solutions for the external groups. The freelance professionals will take of the capacity requirements of the server processing and storage. They will record the quantities of the documents and elaborate on the long-term storage capacity requirements. The freelance CompTIA CDIA+ professional will determine the query requirements. They analyze the input requirements such as resolution, image size, volume, and scanner performance. The certified expert will pick the suitable input devices and interfaces depending on the characteristics of the source documents. The professionals must know how to calculate the amount of image and indexing data that can be stored as per the document lifecycle requirements. The CompTIA CDIA+ professional should have in-depth knowledge of the needed capacity, response times, and throughput rates. The certified experts will gather all the necessary information for the solution design that includes technological environment, infrastructure, types of operating systems, databases. The Computer Tape Librarian is an educated professional who maintains the data found on multiple magnetic tape devices, also called as back-ups. They oversee a classified library of magnetic tapes for data through verification, correction, labeling, and bar-coding. They also create a tape library report through the use of the computer’s hardware and software terminal. The librarian retrieves files from a server and archives them on tape back-ups. This technician remains the primary expert and first point-of-contact in reference to data disaster management. They perform the disaster recovery process with a dedicated data recovery process, under unexpected circumstances, at global locations. The tape library is at times also called as a tape silo, a tape robot or tape jukebox. This technician manages the tape cartridges for a given slot, will bar-code it for easy reference. They also utilize automated methods for loading tapes through the robotic mechanism. Tape Librarian make use of recommended office machines to take the backups as it is beneficial in case of disaster recovery. When somebody asks me a question “what kind of work do you do?" I answer, a "SIM-card software developer”, even well versed in software development people are often surprised. Many people think that the SIM-card is something like a flash drive. In this article I will briefly tell you about the SIM-card (and smart cards in general), what for it is needed and what it has inside. In fact, the SIM-card is an instance of a contact smart card with a microprocessor. 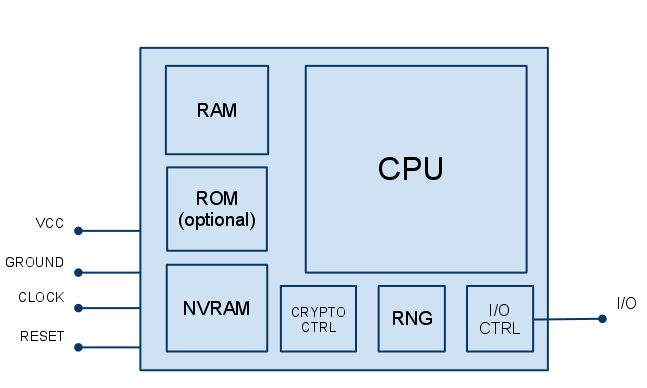 It represents a fairly secure microcomputer with CPU, ROM (optional), RAM and NVRAM (which stands as a prototype of the hard drive in the PC) with hardware generators of random numbers and hardware implementation of cryptographic algorithms.